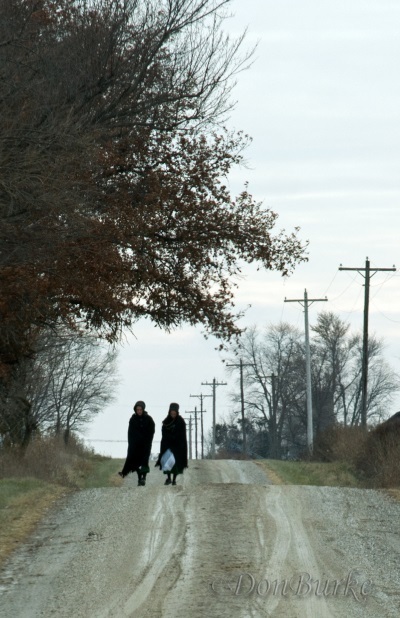 What happens in an Amish community at Thanksgiving? 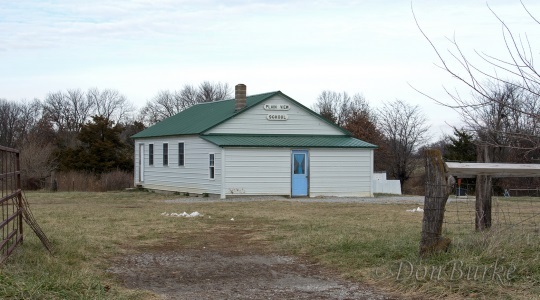 Today Don Burke takes us through the Amish community at Clark, Missouri to give us an outside visitor’s perspective. These photos were actually taken over Thanksgiving in 2014 (see Don’s full sets here and here). By the way I hope everyone had a great Thanksgiving. Things have been a little quiet around here lately as far as posts as I was away from home most of last week. But am happy to be back. While we’re at it, here is the answer key to the 10 PA Dutch carpentry words quiz of two weeks ago. 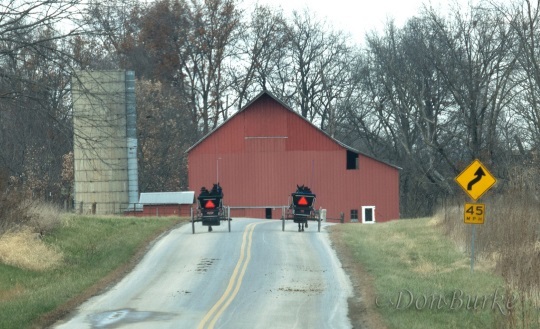 It is an autumn day, late in the month of November as my wife and I pass through the Amish community of Clark, MO. And since the group in Clark don’t allow windshields in the buggies, a tarp-looking cover (and possibly a blanket or quilt underneath) for riders is standard equipment on days like this. 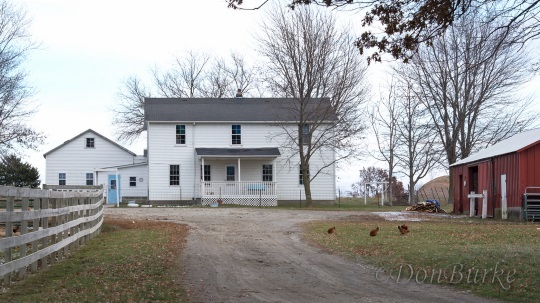 And in many of the Amish home places the only movement seems to be the farmyard critters. 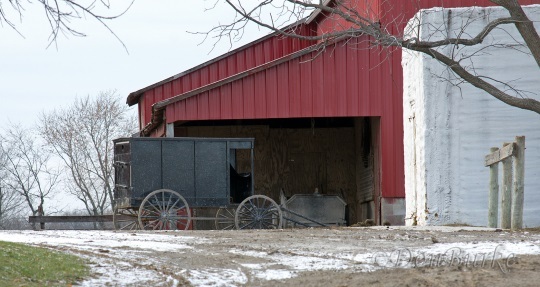 And like the Amish folk, even the Amish machinery is tucked away and silent. The few people we notice on this cold early-afternoon are wearing their more formal Sunday-go-to-meeting clothes. And all of these pieces fit together to make a picture of Thanksgiving Day in an Amish community. But we soon found out that there is also a more active side to Thanksgiving in Clark. This ten-district settlement has five congregations meeting each week, and two of this week’s five chose to shift their worship service to Thanksgiving Day. And as luck would have it, we happened to pass one of those congregations as they were starting to disperse. Some of the buggies were still gathered at the day’s meeting place. But as seems common even among the English church-goers, the youth old enough to leave on their own were among the first ones to hit the road. …and add a little something to keep his gal happy. And be it Amish or English, what teenage guy can pass up a chance to try to show that his ride has more horsepower than his buddy’s? …enjoying good times and the bounty that God has provided for another year. As always, I appreciate you’re willingness to share my pictures with everyone, Erik. I hope you and everyone else had a great Thanksgiving! Thanks for the photos and story, Don. I added your links to the post. Looks so peaceful and perfect for giving thanks. Thanks to you Don for sharing your pictures. Thank you Don for passing on the photo’s and story. 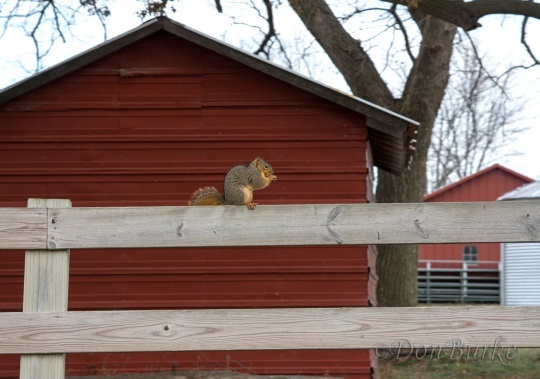 I’m from W Wisc and many of the pic’s remind me of my home town area countryside. 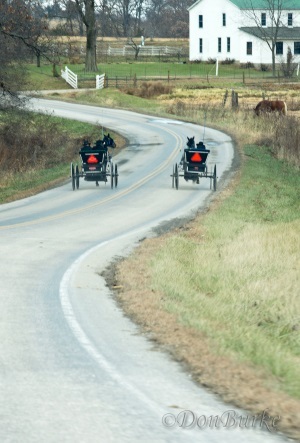 The Amish moved into the area in the early 1960’s. 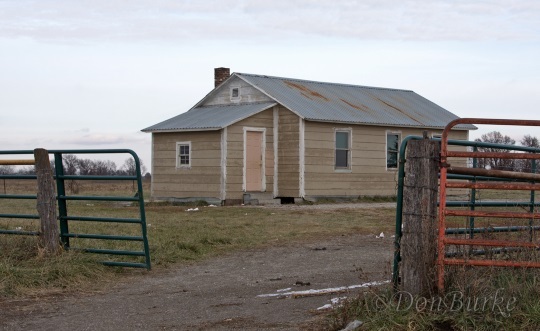 As new homes were being built, that style seen in your pic’s of those big white houses, were dotting the country side. 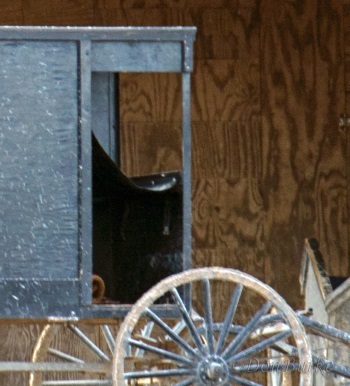 With that happening we knew which places were Amish. People would drive the country side checking things out and poo poo some some of the changes that were being made to those local farms. In those early years folks were then, and still are today, curious. I have to laugh at times at their expression’s when you tell people that you have Amish friends and were inside their houses. You were? What was it like? Did you eat with them? Yes, and they eat food just like we do! lol Home cooking just like we used to eat all the time! If you ever need a conversation piece you can always use your Amish knowledge! Erik, before I start writing a book like I often do, I’ll quit! Oh, and when is that Wisc trip of yours going to happen? Neat recollections Terry 🙂 Always enjoy them so you shouldn’t feel like you are writing “a book”…can’t say when WI will happen but it’s certainly on the list. …is what I’d call most of these photos. I am especially fond of the one with sheep. So restful, quiet-looking. Reminds me of the land my library was built on about 20 years ago. 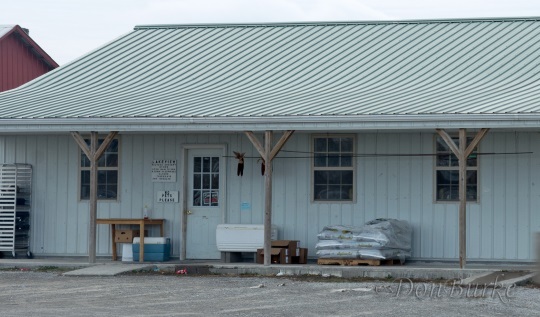 Just a few years prior to that, I recall driving by this land when it was still farmland, and there were sheep grazing on it…and just up the road, a small dairy farm with about a dozen cows. The farmhouse & barn are still there, but the cows & sheep are long gone. Sure liked it better when they were still the main residents! (Fancy, expensive homes & their owners have replaced the bovine population.) Too bad…so sad! Thank you for sharing all this awesome pictures with us. I do enjoy seeing them. 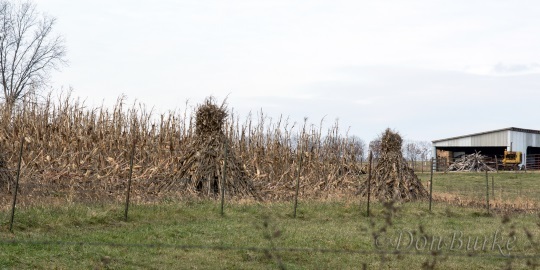 I did a term paper in college on the amish and midnights which are very different, they are some very nice pictures, my husband took an nice picture of an man out in the field I will see if I can find it.. I have always been very interested in there social life and community. Don, these are awesome. 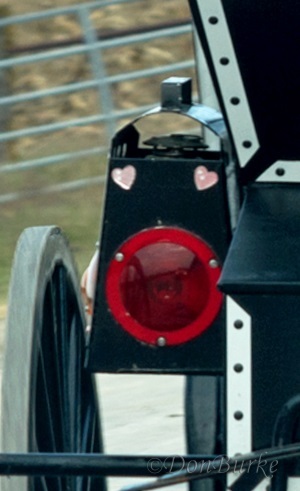 I noticed on one buggy that there is just one small reflector light. I’m hoping that buggy would not be out at night, what do you think? 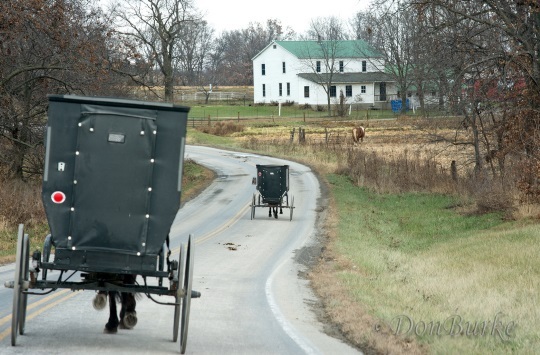 Loretta looking around it seems very evident that Clark is a very conservative Amish community, and that include the very limited number of reflectors on their buggies. (Teen’s buggies seems a clear exception to that rule.) However, they do have the lanterns (with a kerosene lamp inside it, I think) that I have seen around. (You may have noticed some in this set of pictures.) I’ve not been through the community at night, but I’m sure they do use these to help others see them. So find out who Google likes and make friends with them. This is a no no, and does nothing for your website. Loved all of your photos, Don. Thank you Erik for posting them and for posting his links. Am a songwriter for my hobby and I’ve been working on a song about the Amish way of life. Need to learn everything, even the small things like, do they leave one candle/lantern on in every room, or do they carry the candle/lantern with them each time they go into a different room? There are more questions……uggg. Is there a forum? Had some Amish books from the library but needed to return them. With Christmas, gotta buy gifts. Anyone want to donate Amish books for my song? Oh my…. I feel so bad. I don’t know what has happened, but the page has not informed me of any replies. There has been so much clambering for my attention the past couple of months, I just forgot to check back. My deepest apologies for not getting back on here and thanking you for your kind remarks. It’s always a joy to share with the folks here. Could you do an article on Amish and taxes, because there is a misconception that Amish are welfare abusers, tax cheats, etc. I saw this on one Youtube video. This is so far from the truth though. 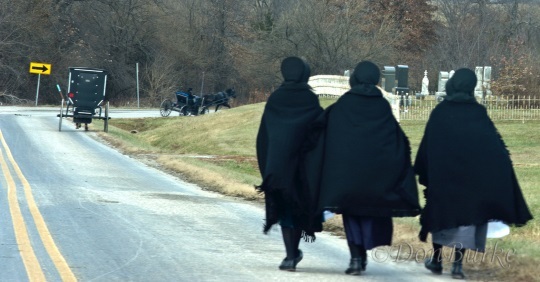 Amish pay more in takes and take less than almost any group of Americans. Very few use social welfare. They pay taxes on everything except Social Security, but they don’t use Social Security. They also pay school taxes even though they don’t attend public schools. What makes the East Holmes District unique is its two-thirds Amish population at each grade level, Treasurer Marsha Clark said. 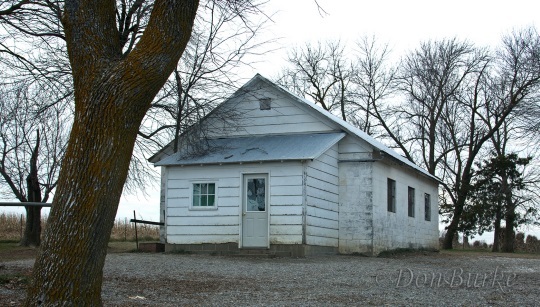 Because the Amish constituency prefers to keep its children closer to home, “we have more buildings, and we have smaller elementary schools,” Clark said.